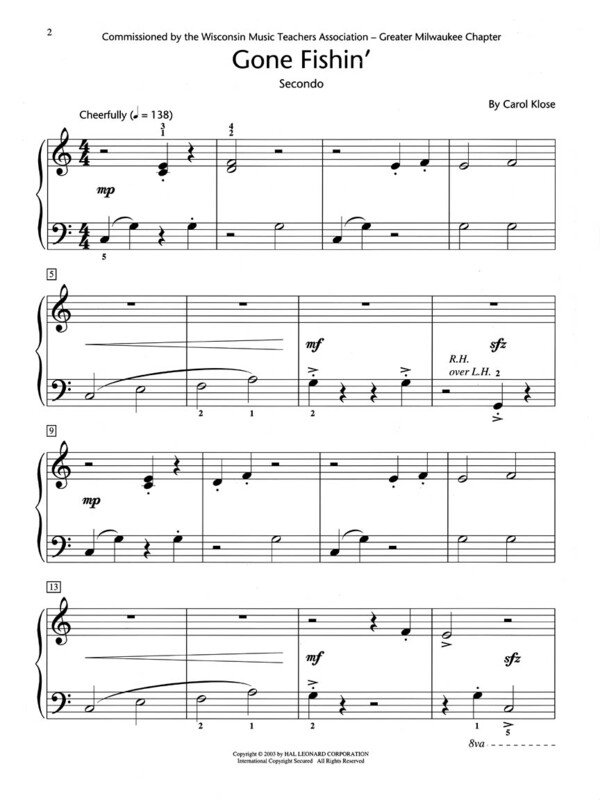 This cheerful; carefree duet for equal partners at one keyboard has a happy; summery mood. Each part contributes to the vibrant; rich sound of the piece; and gives students ample opportunity to hone ensemble skills. 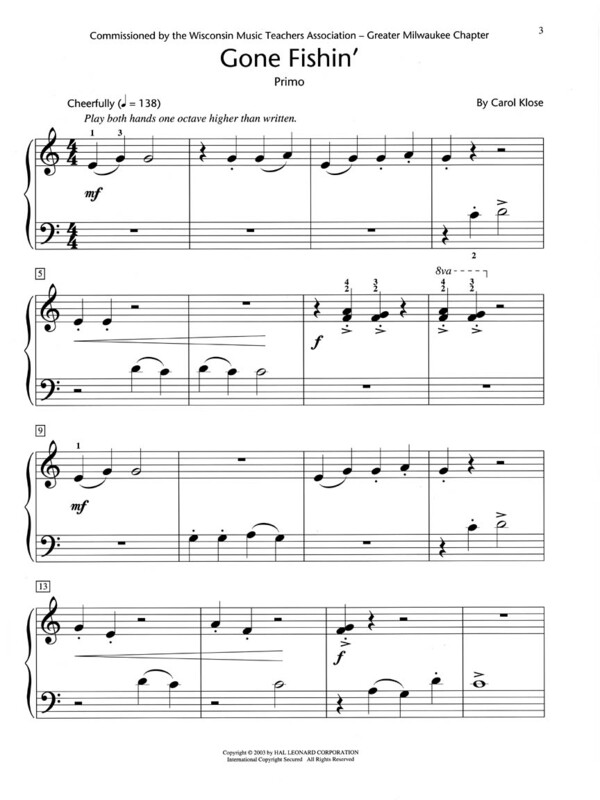 Late-Elementary Piano Duet (HLSPL Level 2); equal partners (1 pno/4 hds); Allegro tempo; 4/4 meter; staccato/legato; accents; 8va. Music stays within a 5-finger position; R and L hands alternate playing for the most part. Limited use of notes played hands together and cross-hand notes. 34 measures.